Posted on January 17, 2019 at 10:04 am. 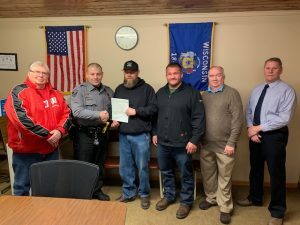 The Oxford Police Department was presented with a $1,000.00 grant check from Enbridge, Inc. 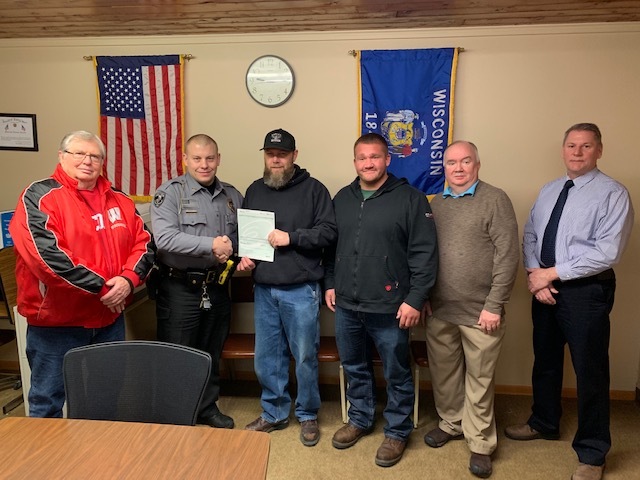 This grant, along with the $500.00 that was donated last May from the Seventh Day Adventist Church in Oxford will assist with the purchase of an AED (Automated External Defibrillator) for the police squad. The Village is very appreciative for the continued generosity of both Enbridge, Inc. and the Seventh Day Adventist Church.